A full qualification in a relevant subject at Entry Level and Level 1 functional skills in English and maths. You will also need to successfully pass a Disclosure Barring Service – (DBS). You will require a positive reference from school and to be able to provide evidence of previous work experience in a related area. You will normally take part in an interview prior to being enrolled on the programme. CACHE Level 1 Certificate Introduction to Children and Young People’s Settings and Health and Social Care. These qualifications encourage an understanding of the knowledge and the skills needed to care for young children. They cover children’s growth, learning and development. 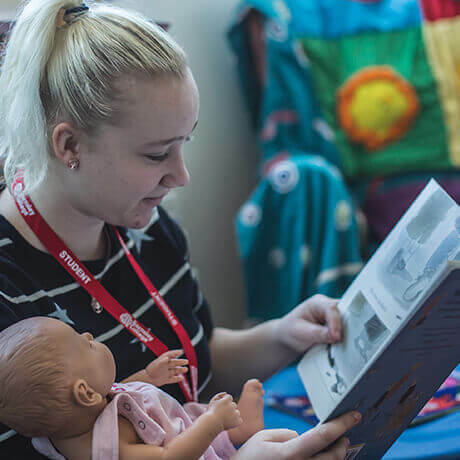 These qualifications are suitable for you if you are considering a career in caring for children. To achieve the unit you must provide evidence to meet all of the assessment criteria. CACHE Learner Achievement Log records your progress in achieving the assessment criteria and completing the units. On completion of this programme, you could apply for further training on a Level 2 Certificate Supporting Teaching and Learning or an apprenticeship programme.